Help Urban Eco Group get 500 likes on Facebook! Assistant Project Manager needed at UEG! Suzanne on Small Businesses Going Green: Now or Later? 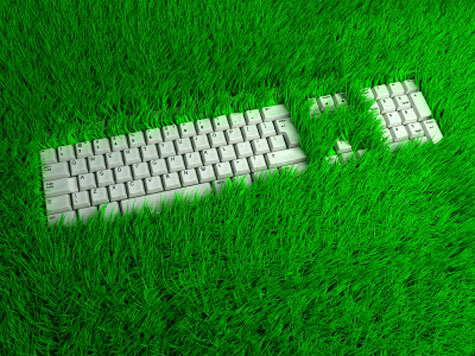 Small Businesses Going Green: Now or Later? Check out this article from FOXBusiness on the monetary and environmental benefits of green small businesses. Offices and businesses going green no only saves time, but it saves you significantly amount of money over time, and it is always great to associate your business with sustainability! Sustainable measures can be as small as recycling daily trash, and as big as installing solar panels. It is all up to you to make the right decision. And when to make it? It’s always better sooner than later! Going green is more than just another trend for small business owners to jump on. It can be a major cost saver for owners over time, and improves productivity and marketability if done right, according to experts. When Jim Bolger, owner of Earth FX in Maryhill, Ontario, moved his business to a new location in 2009, he stepped up the company’s commitment to greening in a big way. Earth FX is outfitted with LED lighting, geothermal energy, controls on heating and cooling and added solar panels on the roof. The switch cost the company $45 per square foot in the building, and according to Bolger, well worth it. Leaving the building in its previous state without any green products or practices would cost Earth FX up to 70% more on heat, air and light, Bolger said. Randal Palach, president and CEO of NextEnergy in Detroit, said his company has seen firsthand the benefits of small businesses starting out green, rather than making the switch to green practices and products after the business is up and running. Although costs are absorbed from the start, Palach said over the course of a business’ life, the savings are even greater. Green small business owners can take advantage of federal tax break incentives as well as state and local initiatives. There is a five-year payback until 2017 under a government stimulus program for energy and green investments. Moving to this model is not only an economic decision, but it can also improve the quality of life for employees, Palach said. It’s important small business owners who are leasing space to realize that their power is greatest before signing on the dotted line. Asking for things like recycling, timers for lights and energy-efficient light bulbs should all take place before the deal is struck, Kaplan said. Beginning a business with green practices shouldn’t cost an owner much more than starting out not green, she said. Small business owners can search out green office spaces to lease, and contact their electricity companies to request green energy. Going paperless, or putting a recycling program in place are simple, easy things small business owners can do right from the start. If a small business owner were to use heating and cooling controls, geothermal energy, tight windows, green design and planning, and solar insulation, Palach estimated there would be a 50% higher premium cost outright for owners. Payback will not be instantaneous or great at first, but over a life cycle the technology pays for itself, he said. On the flip side, retro-fitting green supplies on an older business could cost a small business up to 75% in premiums. “If you look at productivity gains, savings over a lifecycle, the incentives are there,” Palach said. Not only is the general public more interested in green products and practices today, Palach said, but people are starting to ask the right questions about making the switch to green in their home and work environments. 4. School Going Solar, So Can Your Office Building! We are Urban Eco Group, a commercial general contractor in Atlanta, GA. We not only build new buildings but also perform facilities maintenance and management. We also specialize in green high performance solutions for building owners to save money on monthly building utility costs, while also improving public relations and the bottom line. Please contact us today for a free consultation or to engage us on your upcoming building project. One Response to Small Businesses Going Green: Now or Later? Hello there, just became aware of your blog through Google, and found that it’s truly informative. I’ll be grateful if you continue this in future. A lot of people will be benefited from your writing. Cheers!